On Tuesday, September 1, 2009, a City of Ottawa by-law went into effect which requires property owners in urban areas to obtain a tree permit from the City to remove certain trees. 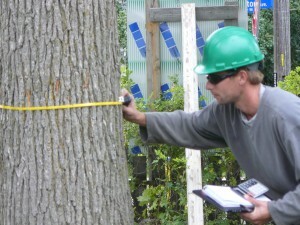 The owner is responsible to obtain an arborist report from a local certified arborist. Afterwards, a permit application must be issued by contacting 311 (City of Ottawa information line). Tree Conservation Report: This applies to owners whose property is greater than one hectare in size and whose tree is larger than 10cm in diameter (dbh). Distinctive Tree Report: This applies to land owners whose property is less than a hector in size and whose tree is larger than 50cm in diameter (dbh). After the permit has been issued, the owner must display this permit in a visible spot (window) for seven days prior to work being done and seven days after the work has been completed.